In aviation, it’s important that things keep moving, but that doesn’t mean you have to compromise on safety. Introducing AIRDAT VISA. Our new smartphone app available now on the Google Play Store for Android and App Store for iPhone. You can now carry your entire training history in your pocket – multiple cards and certificates are a thing of the past. Need to book a course or launch some eLearning? It’s a few swipes away. 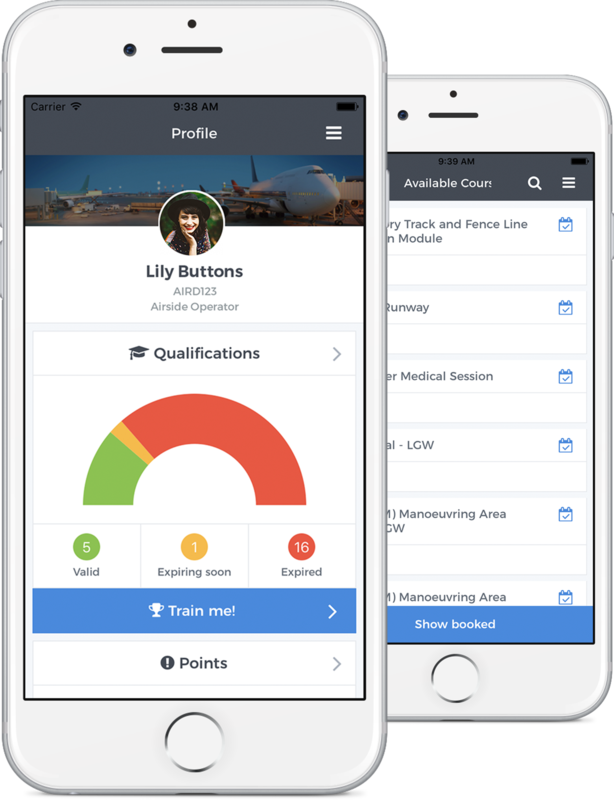 For airport operations users – scan a secure QR code and gain instant feedback on the skills, points and experience of the individual in front of you and even perform competency form based assessments on your tablets. Introducing AIRDAT VISA, our mobile smartphone app on Android and iOS. The worlds leading aviation training management system, now in your pocket. When things are slow and difficult to understand people tend not to use them. VISA keeps things simple and clear for users. This means zero training required and people are up and running in no time. Stale information is next to useless. AIRDAT VISA links via an API with the AIRDAT Passport Training Management system. The moment an update is made (training, points, bookings, profile, notes) - VISA is updated. Keeping track of existing training validity, managing bookings for future courses and launching eLearning used to mean a trip to the office for a desktop. Save yourself the leg work. Do all of this via VISA in a few clicks. Whether its drivers, contractors, managers or baggage loaders, they all need valid qualifications to carry out their tasks. Scan their secure QR code and see their live qualifications data with a full profile. With VISA you can consolidate your training permits down to a single card, or even allow staff to use their mobile as their permit. No need to carry and reference several documents & expiry dates - just one app. Reference existing penalty data and apply new points. Take photos, signatures and other evidence, then apply the associated scheme and penalty that instantly updates their Passport profile and issues out comms. Want to manage & audit training anywhere? VISA takes training management and audit to a new level. Want to see how it could help your airport or company? Get in touch!